Last week we looked at some core strength exercises as a major component of our warmups and integrated it into normal practice waza as well. Its something I’d like to pursue for the next little while and see how it goes. Ever since the winter camp I’ve been ruminating on an aspect of aikido called ‘internal strength’ which for some proponents is analogous with ‘Aiki’ and for yet others its something to do with building the structure of the body (alignment, muscles, tendons and fascia) to have a natural strength that is greater than the sum of its parts. There are quite a few ideas about on what is internal strength. Its been something that has been quite engaging to research and am only scratching the surface really. ( see http://www.aikidorepublic.com/internal-strength for a bit of a biography of whats out there and some emerging thoughts). 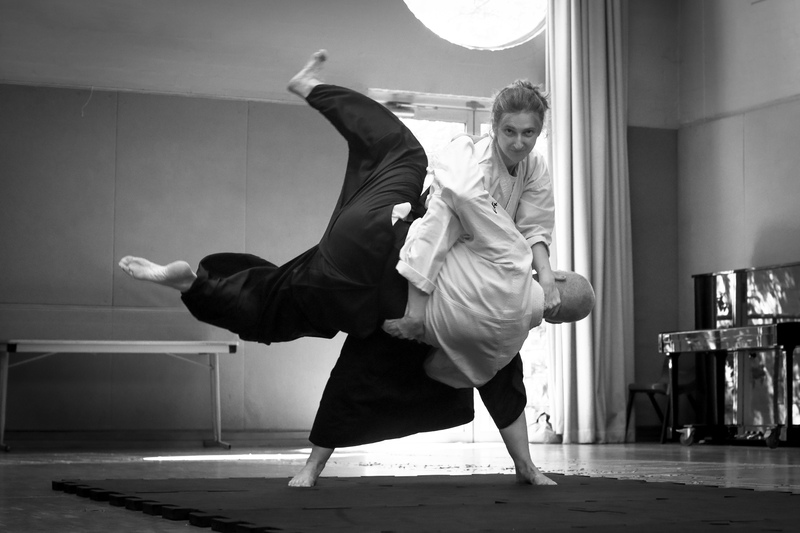 For me today internal strength is an important part of Aiki because it is a mechanism for having the good structure within ourselves, joining our partners power – through understanding strength and power better, and knowing where our partners strength is weak to help develop correct technique. All of these things are nothing new per se, they already exist in the aikido kata and the uke-nage dynamic, thus its a new angle to look at them and thus enrich our daily practice.